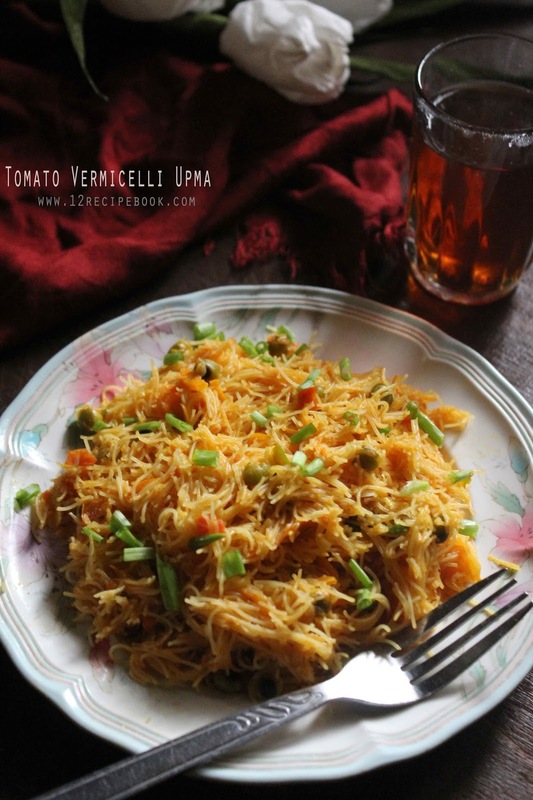 Tomato vermicelli upma is an easy and lazy breakfast choice. 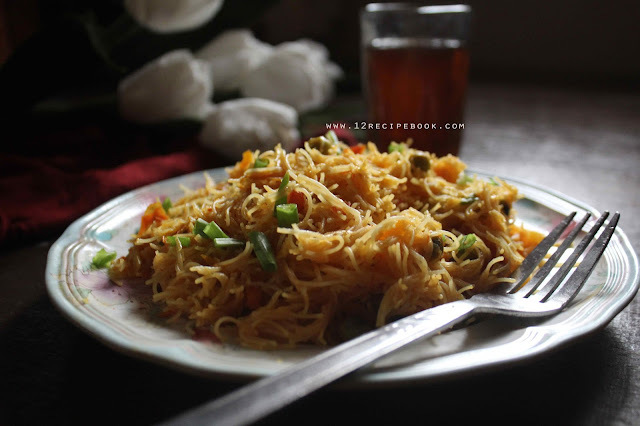 Follow the simple recipe and enjoy the comfort food. Boil the tomatoes in water for about 5 minutes. Sari it and add in to cold water. Peel its outer sin and puree them in a blender to smooth. Keep aside. 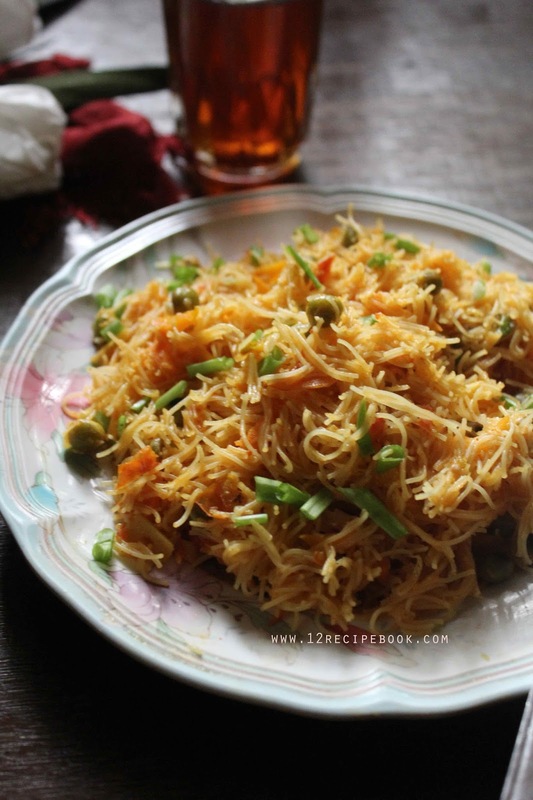 Also Add vermicelli in to boiled hot water(salted) rest for two minutes (no need to cook) and drain it. keep aside. Add ginger and green chilly; mix well. Add carrots and green pea; saute for 3 minutes. Add tomato puree, chilli powder and salt. Cook for about 2 minutes until tomato puree starts drying. Add cooked vermicelli; mix well. Sprinkle spring onion chopped and turn off heat.